Many of our customers have used image analysis systems from Split Online or Metso Minerals and have been unsatisfied with the poor level of service, low frequency of updates, lack of reliability and high price of these vendors. They are choosing to install the PlantVision™ software instead. 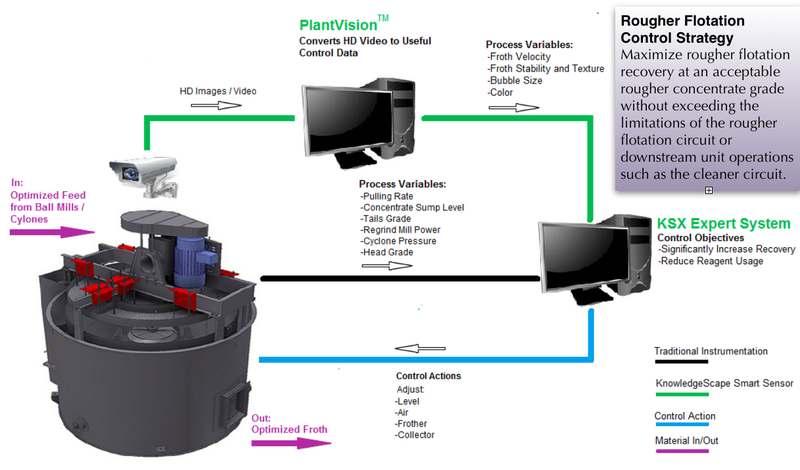 In most cases, PlantVision™ can use the existing camera installations with little or no modification. You’ve already made the investment in the Metso/split system so a PlantVision™ upgrade is now the single best improvement you can make to your processing system. Two versions are available, one for conveyor belt course particle size analysis, and the other is for froth flotation analysis. Both are extremely user friendly and very effective. The PlantVision™ froth imaging software uses specially designed algorithms to accurately measure important values that characterize the efficiency and performance of flotation cells. The data is made available via OPC communication, and when combined with an expert system, PlantVision™ typically increases recovery by 2-4%. The data can also be used directly by operators, and since subjectivity is removed from the froth analysis by PlantVision™ , a manual control strategy can be implemented that is now beneficial and consistent between operator shifts. Operators can now view every flotation cell in realtime, and then perform individual image analysis on any cell to obtain valuable control information regarding pulling rates and reagent usage.